Focus breathing and zoom image shift have been reduced to an absolute minimum, while aspherical elements and advanced multi-coating technology effectively suppress aberration. Quiet operation is also a priority, so an SSM (Super Sonic wave Motor) drive system has been employed for precise, quiet zooming. Independent control rings for zoom, focus, and iris using physical stops are provided for the first time into an E-Mount lens. Built-in Optical SteadyShot image stabilization adds to the extraordinary performance of this outstanding lens which is supporting a constant F4. *Zoom range increases to 42-202.5mm when using the lens on an APS-C or Super 35 camera. 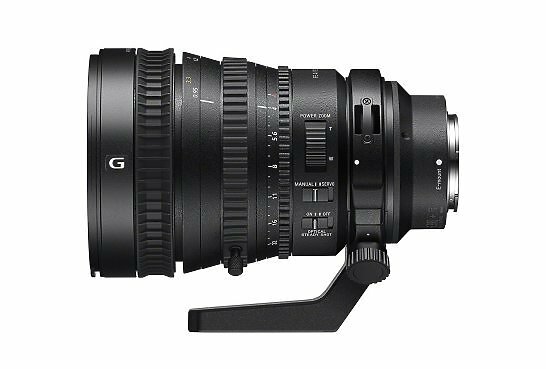 Hire the Sony 28-135mm f/4 Lens from Procam. Best service and rental rates for the Sony 28-135mm f/4 Lens and all cameras, lenses, sound, lighting and grip.